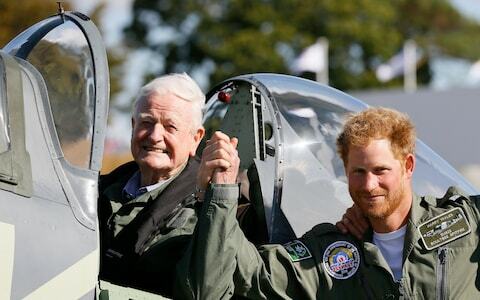 Wing Commander Tom Neil, who has died aged 97, was one of the last two surviving Battle of Britain fighter “aces”; he was credited with destroying at least nine enemy aircraft during the period and was twice awarded the DFC. Neil and his colleagues of No 249 Squadron joined the main battle when they flew their Hurricanes from their base in Yorkshire to Boscombe Down near Salisbury on August 15 1940. The squadron was in action immediately and over the next few days Neil flew as the wingman to his CO, Squadron Leader John Grandy (later Marshal of the RAF Sir John Grandy, Chief of the Air Staff), but their section was frustrated at not engaging the enemy. Another section, however, led by a friend, Flight Lieutenant James Nicholson, did engage enemy fighters on the 16th, which resulted in Nicholson being awarded Fighter Command’s only VC. When the squadron moved to North Weald in Essex on September 1, No 249’s pilots discovered that they were in the thick of the action. 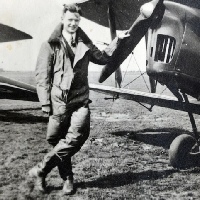 Neil achieved his first success on September 7 when he shot down a Messerschmitt Bf 109 over Ashford and a few days later he accounted for a Heinkel III bomber. On the 15th, during intense fighting on the day that is immortalised as Battle of Britain Day, he shot down a Dornier bomber and shared in the destruction of a second. Later in the day he destroyed two Bf 109s escorting a bomber force south-east of London. The Luftwaffe mounted one more major raid during September. On the 27th, in the Redhill area, Neil shot down a Messerschmitt Bf 110 and probably a second. On a later sortie he destroyed a Junkers 88 and shared in the destruction of another near Guildford. On October 8 he was awarded the DFC for “displaying dash and courage of a high order”. Later in the month he destroyed another Bf 109 and shared in the destruction of two bombers. Thomas Francis Neil was born in Bootle, Liverpool, on July 14 1920 and educated at Eccles Grammar School, Manchester. Whilst working in a bank, he joined the RAFVR in October 1938 to fly at weekends.